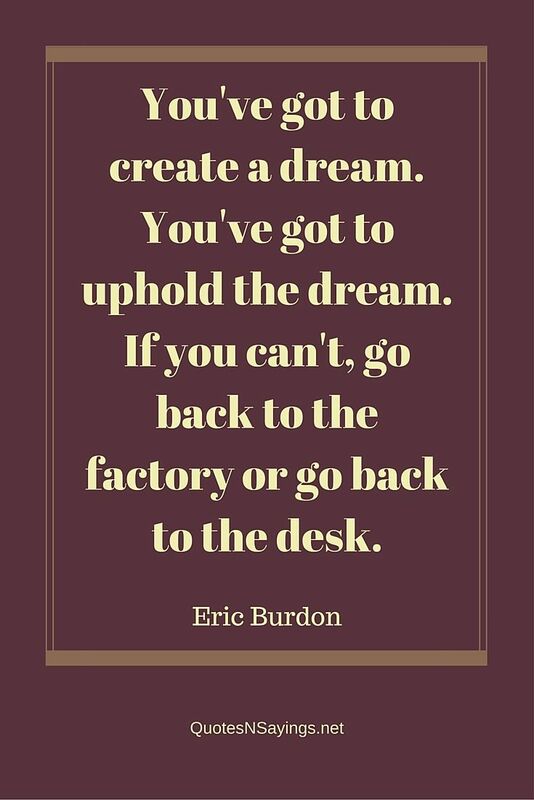 You’ve got to create a dream. You’ve got to uphold the dream. If you can’t, go back to the factory or go back to the desk.